This season, we are seeing a return to the humble trim. 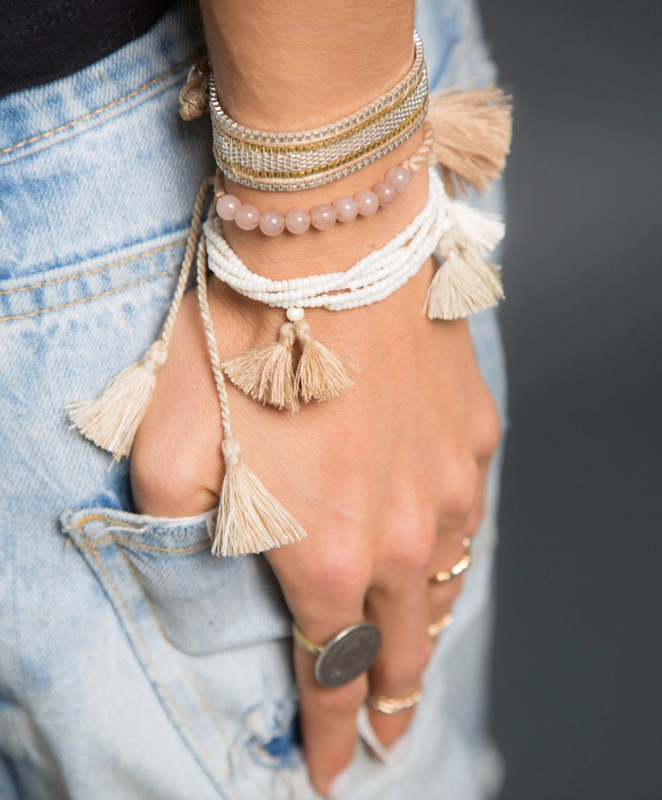 Tassels are adorning everything from clothing, accessories and even swim suits. 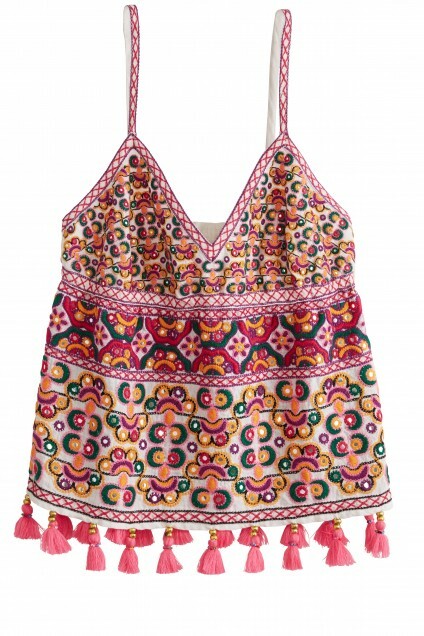 The vibe ranges from ethnic to homemade, as rows of tassels give garments a decorative edge. A simple white dress is finished with a row of tied tassels. While there are lots of ready to wear options in the shops right now, it’s an easy DIY update to last season’s items. 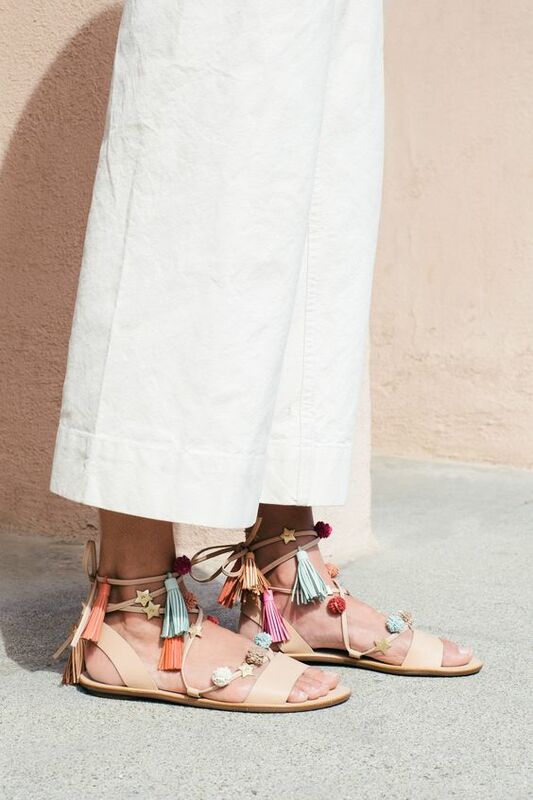 Pick up a yard or two of tasseled trim at your local sewing, craft or even home decor shop, and sew it on the hem of a simple, dress, top or a pair of shorts to get the look. This closet thing is taking me awhile. I reached a point on Sunday, where I was digging the old stuff out of the discard bags because I didn’t have anything else to wear. On Monday, I decided it was time to shop a bit. I had scoured the stores over the weekend, scoping out the merchandise choices and deciding which stores were worth a return visit. With the goal of looking polished and relavant, without being overly trendy, I made a mental list of what I was looking for. One thing for sure I knew I wanted to add to my closet was a jumpsuit or two. They are a must-have item this year, and with a depleted closet, they offer a ready-made look in one simple piece. I picked up a full length black one, that could be dressed up or down, and 2 shorter ones; one in a fun print that is more casual,but still pulled together, and another black and white version that is youthful, but sophisticated. ( read: not too short, not too bare and work appropriate.) I also picked up a couple of tops that would work with what I had, and replace a few of the holey ones in purge pile. Next, I set out to tackle the accessories. I weeded out all the broken and truly junkie jewelry that had found its way to me via grandmother’s junk drawers, and goodie bags, and organized the rest so I could find it.I hung the necklaces that tangle easily on a hangar, and put the rest into a bin. 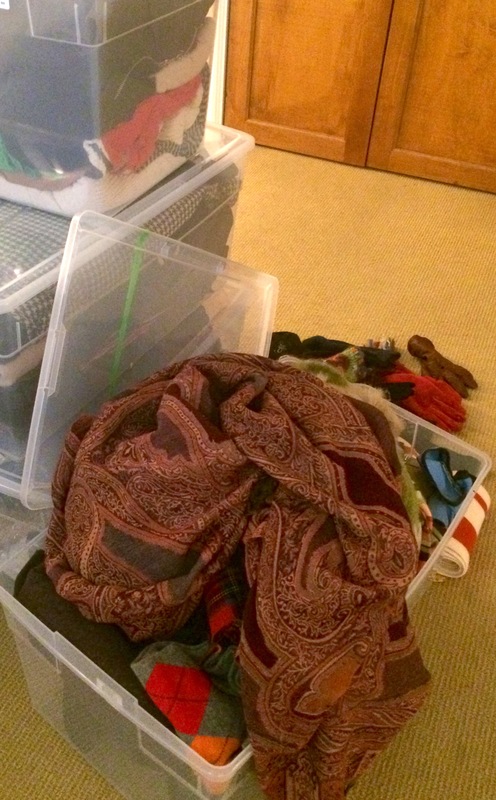 I shelved the bags and hats, and rolled all of my light weight scarves so that they fit into one bin without becoming a wrinkled mess. I packed up the winter footwear, and cleaned the floor and shoe racks before replacing the summer edit. I took a quick trip to the shoe repair to rehab a great pair of shoes and a Hermes belt that I love, but was getting a little shabby. Now it was time to play dress up. I tried on what was left, and made outfits, including accessories and shoes, to be sure I had everything I needed to make these pieces work. B got a couple more hand-me-downs of things that still looked good; but not on me. I recommend either taking a selfie, or laying the outfits out on the bed in their entirety, and taking a photo to document every successful look. 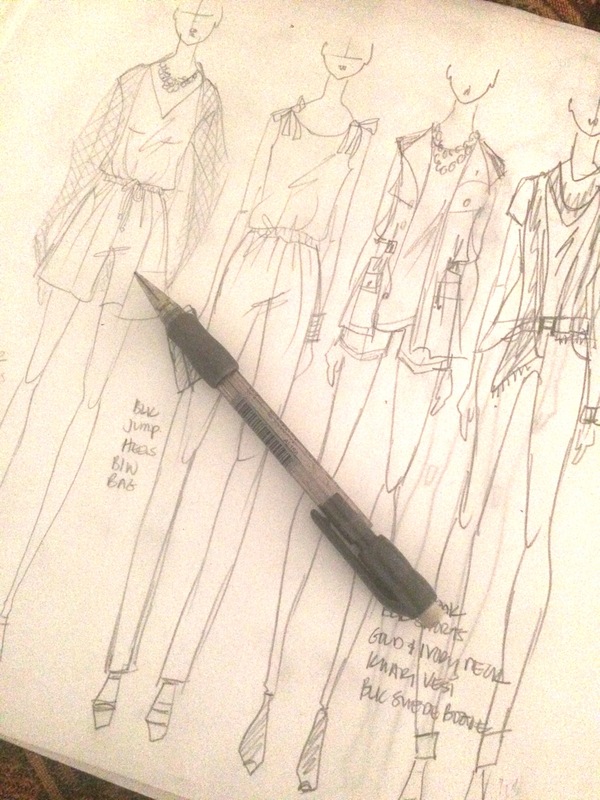 I opted to do some quick sketches with notes, since I am camera shy. This exercise not only ensures that you have things that work together, but also that you have the right accessories, down to the sweater or jacket to toss on when the air conditioning turns a nice place into a meat locker. My try-on session yielded me quite a few looks from a tightly edited amount of items, and helped me identify a need or two. 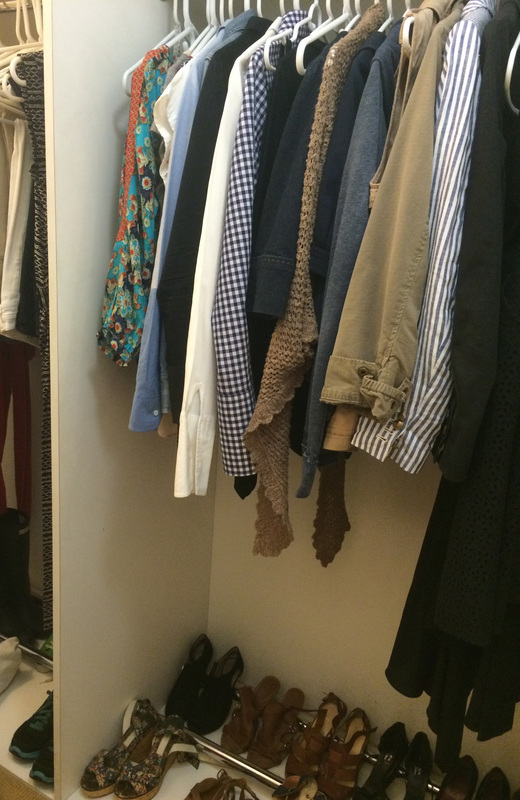 Now when I go into the closet, I can see everything I own clearly, and have a stack of go-to outfits to get me started. Today’s project: Eliminating the “stuff.” What is the “stuff” you ask? I haven’t a clue, but it is taking up a lot of real estate in there! I’m fully armed with 13 gallon trash bags, and I’m going in! This season, it’s time to break the age old rule that one should not wear white after Labor Day. Layers of pale whites, greys and beiges look modern and oh-so-chic, when winterized through texture, fiber and accessories. Go ahead and pull out your white jeans. These ladies will show you how it’s done. Shades of winter white layer to create a look of relaxed elegance. A textural sweater, worn over a sheer blouse, effectively winterizes a white suit. The boiled wool coat in a slightly deeper tone adds richness and depth to the outfit. Full cut and fluid trousers pair with a simple turtleneck for a minimalist approach to winter white dressing. Light shoes with heavy black soles and a black bag and eyewear balance the look. Bonus points for her expertly cut pale grey hair. 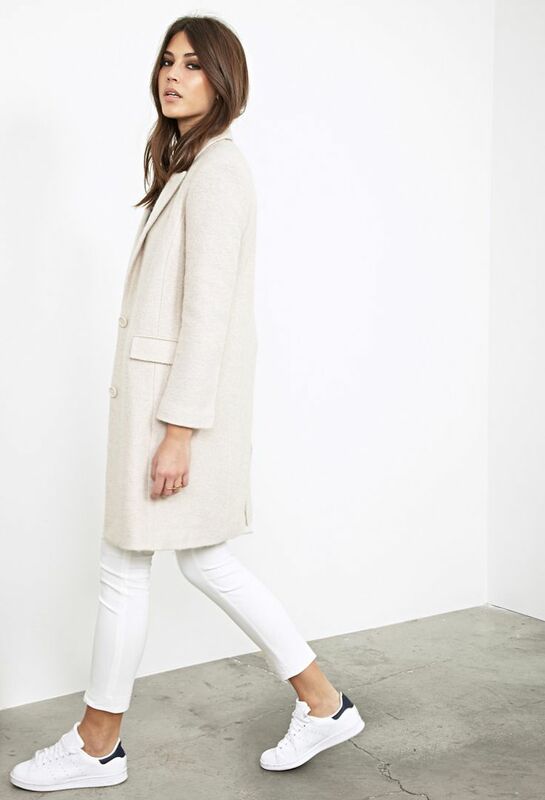 Skinny jeans and sneakers in pure white get the winter treatment when topped with a textural wool coat in a slightly deeper hue. Woolen layers in varying tones of white are accented by a pale taupe coat and a furry hat. Shades of grey from icy silver to deep charcoal add dimension to this casual look. White sneakers and a black and white bag complete the illusion of effortless dressing. 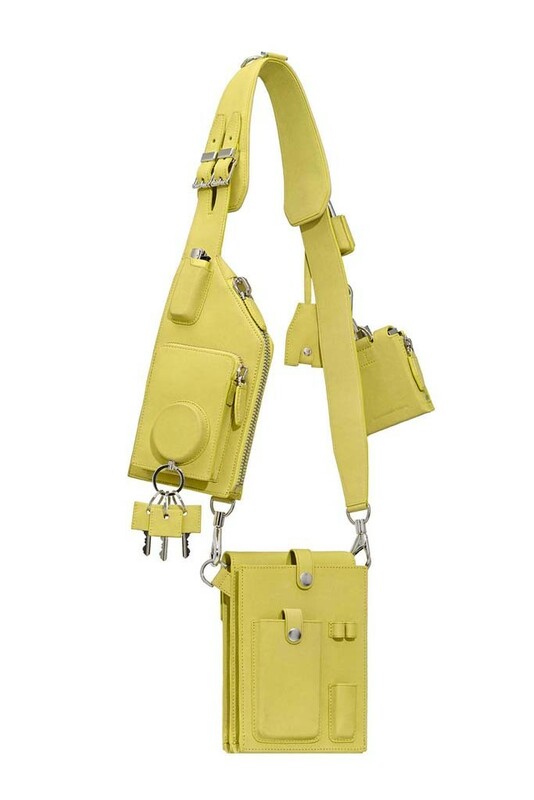 Big name designers are looking at the practical side, taking utilitarian details and interpreting them into accessories of all kinds. storage for everything from coins to keys. 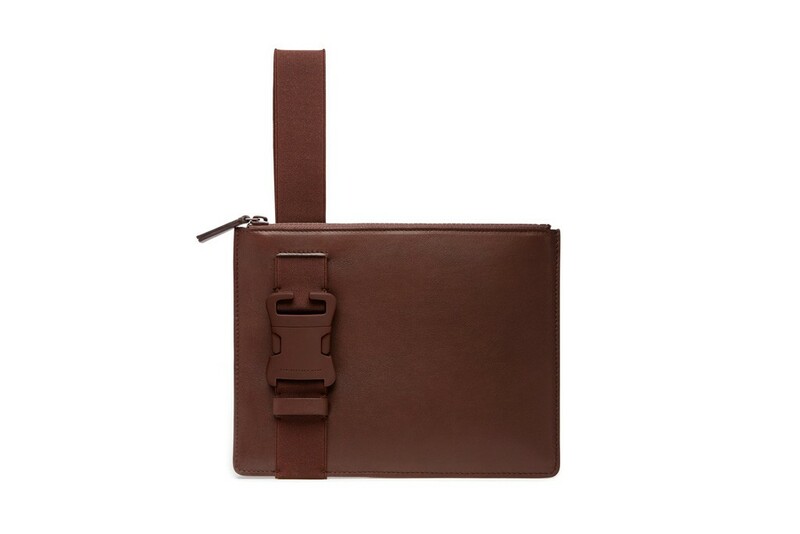 Christopher Kane uses straps and plastic clips to secure his sleek, and modern take on the clutch. 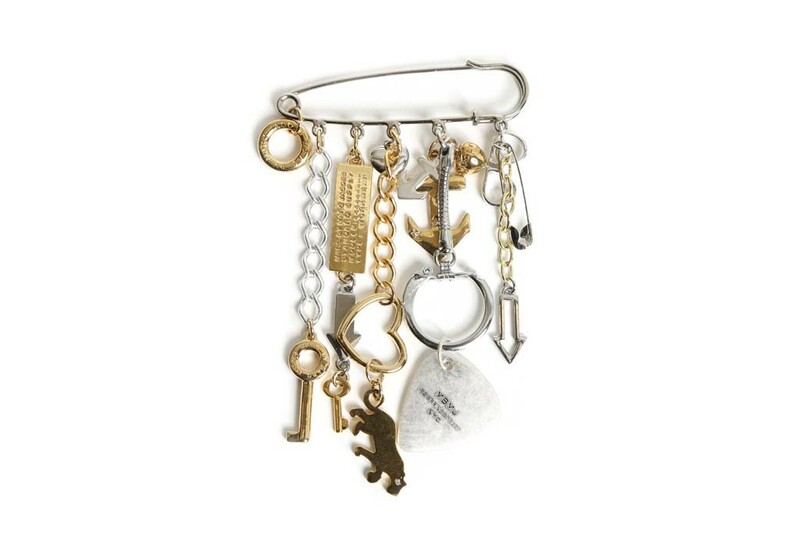 This “charming” brooch by Marc Jacobs holds everything from safety pins to guitar picks. Coach gets functional with their latest riff on the work boot. 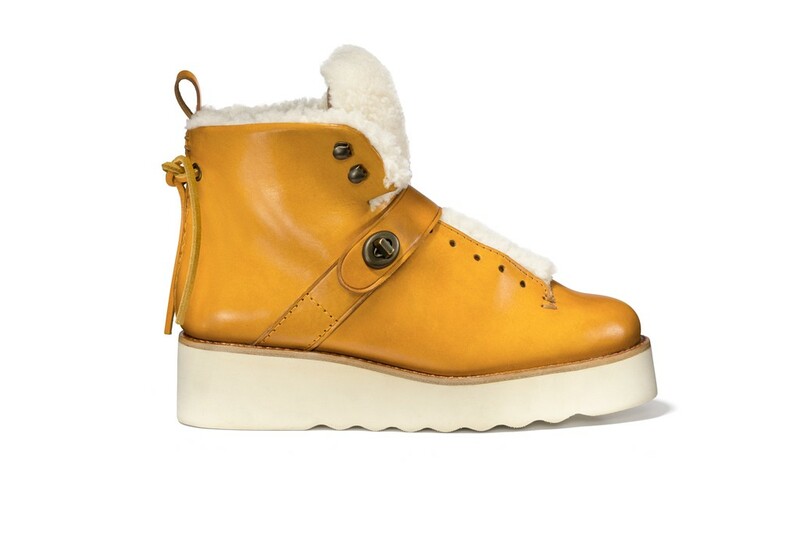 The thick rubber sole is ribbed for traction, and the fur lining and hardware add a chic touch. 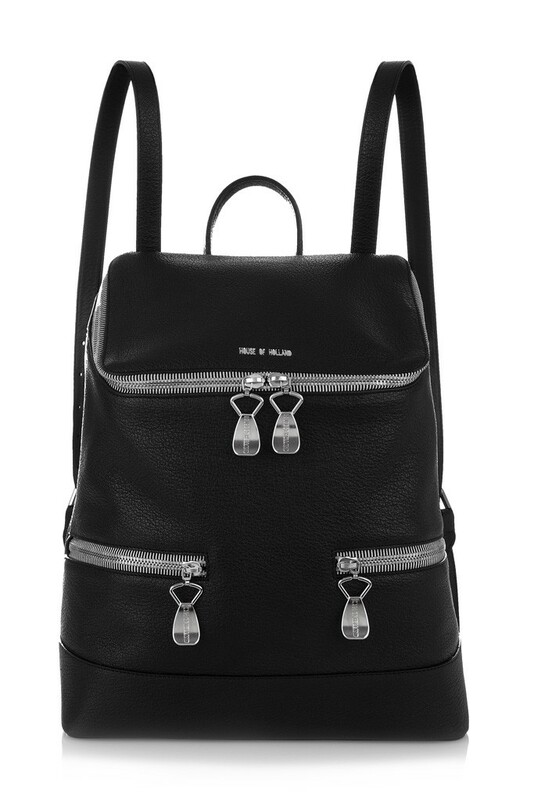 Backpacks are back with a vengeance, and House Of Holland adds heavy gauged zippers for extra functionality. 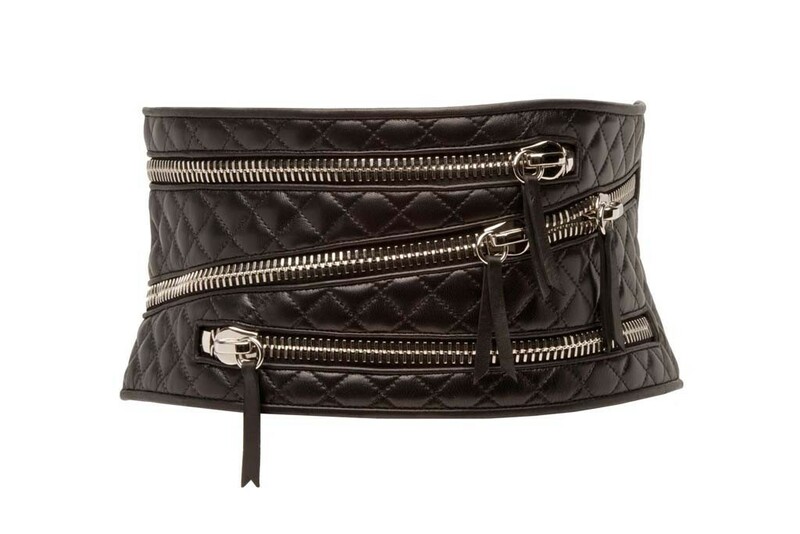 Giuseppe Zanotti lets you protect your back and store your stuff, with his zip around corset style belt. Last fall, Diana Wang fulfilled her dream of working at Harper’s Bazaar. She was given a coveted role as an unpaid intern in the accessories area of the magazine. Just 4 months later, Wang filed suit against Bazaar’s parent company, the Hearst Corporation, for not paying her for her work. As she recounts, she worked five days a week, from 9 a.m. to 8 p.m., tracking thousands of shoes, bags, scarves and jewelry lent to the magazine for photo shoots. She managed other interns, sending them on errands and helping to file expense reports. She also answered the accessories director’s phone, and filtered her calls. Did she work long days and handle not so glamorous tasks? Absolutely. Were they outrageous and belittling? Hardly. While the U.S. Department of Labor states that internships must be educational and for the benefit of the intern, it is open to speculation, whether or not this experience fits the bill. Did Ms. Wang have an opportunity to see first hand what really goes on at a fashion magazine? Was she able to learn useful skills, and gain exposure? Is that not considered beneficial? It is in my book. Did she really expect that she would be sitting front row at fashion week as an intern? I posed these questions on my Facebook page last week, and got a lot of interesting feedback. While many feel that large companies are taking advantage of young people by using their services as unpaid interns, most felt that this woman had an inflated sense of entitlement. Our recent economic situation has spawned an unpaid workforce, and internships have become the replacement for entry-level jobs. One is now expected to have a full resume of internships under their belt, before being considered for a paid role in many industries. In areas such as fashion, roles at prestigious companies are highly sought after. A positive internship experience can be the ticket to a future career. This women was not asked to do anything that didn’t need to be done, or was truly belittling. I would venture to say that most of her bosses had performed those duties at some point at the early stages of their career. Four months of corporate servitude is hardly worth a lawsuit. Unless she somehow parlays millions of dollars out of the suit, (which is highly doubtful) she has frittered away her dream of succeeding in the world of fashion publishing. It appears she didn’t want the career of her dreams bad enough to actually work for it, and pay her dues. What do you think? Does she have a valid case, or is she a spoiled and entitled product of her generation?